It became increasingly difficult to deny Indian military involvement alongside the Mukti Bahini in Bangladesh. On returning to New Delhi [in mid-November 1971], the prime minister [Indira Gandhi] ordered a further escalation of military action along the borders with East Pakistan. From early October, the Indian army had been supporting attacks by the Mukti Bahini on Pakistani border posts. This initially took the form of artillery fire on Pakistani positions and the participation of small numbers of Indian troops in the offensives. In the second week of October, the army’s eastern command ordered its formations not only to defend the border but also to carry out offensive operations up to ten miles inside East Pakistan. The idea was to capture important salients in East Pakistan that would assist the eventual full-fledged military intervention. The captured territory was, however, held by the Mukti Bahini, with Indian troops retreating behind the borders. The scale and intensity of these operations rose sharply in mid-November. The fiercest of these preliminary operations took place at Boyra in the Jessore area. The Indian offensive started on the night of 12 November and made considerable headway. On 19 November, Pakistan launched a massive counter-attack with armour and artillery supported by an air strike. Although the Indian forces eventually beat back the attack, downing three Pakistani aircraft in the process, it was clear by 21 November that conflict had escalated to a new stage. In consequence, Indian troops were ordered to stay on inside the captured territory all along the border. The prime minister claimed in parliament on 24 November that “it has never been our intention to escalate the situation” and that “we have instructed our troops not to cross the border except in self-defence.” She dismissed as “propaganda” Pakistan’s claims that India was “engaged in an undeclared war”: “This is wholly untrue.” The speech was, in fact, part of India’s propaganda. Over two weeks back, Sydney Schanberg of the New York Times had filed a story quoting Indian officials as admitting that their troops had crossed into East Pakistan. 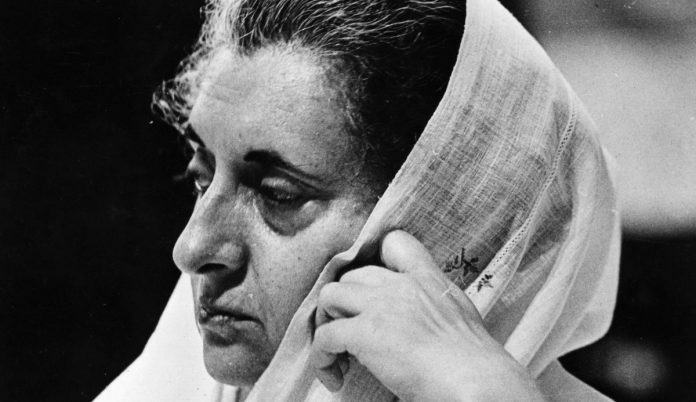 Indira Gandhi had been in Paris when the piece was published and had been “deeply concerned at this leakage and desire[d] it to be thoroughly investigated.” She instructed Indian officials “not to indulge in making statements which are politically damaging to our cause.” As the tempo of operations rose, it became increasingly difficult to deny Indian military involvement alongside the Mukti Bahini. In the last week of November, the prime minister gave the go ahead for a full-scale attack on East Pakistan. The D-Day was set for 4 December 1971. On 29 November, Yahya took a tentative decision to open the western front and the final decision was made the next day. The D-day was originally chosen as 2 December, but it was postponed to 3 December 1971. The decision was a compound of strategic and psychological considerations. By attacking in the west, the Pakistan army hoped to relieve pressure in the east and to buy time for international action to damp down the conflict. The army’s sense of vulnerability was coupled with a curious overconfidence about its superiority vis-à-vis India. The idea of innate superiority of the Muslim soldier—the “one Muslim equal to ten Hindus” syndrome—had been bequeathed to Pakistan by the British Raj’s theory of martial races and it had been internalized by its military classes. D.P. Dhar was on the prime minister’s aircraft travelling with her from Calcutta when the pilot informed them of the Pakistani air strikes. “The fool has done exactly what one had expected”, he tersely remarked. Mrs. Gandhi landed in New Delhi at around 10.45 pm and was received by the defence minister. She drove straight to the army headquarters where General Manekshaw briefed her on the actions taken on the western front and sought permission for launching the operations in the east. A little later Mrs. Gandhi met the rest of her cabinet. The decision was taken to declare hostilities with Pakistan and to recognize Bangladesh. In the wee hours of 4 December 1971, the war for Bangladesh formally began. 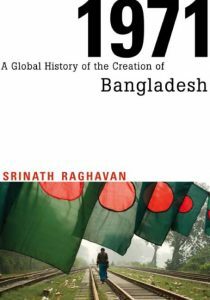 Excerpt from Srinath Raghavan, 1971: A Global History of the Creation of Bangladesh (Harvard University Press & Permanent Black, 2013), pp. 231-34. #The_Frail_Bodied But #Iron_Lady_At_Head, Was Feared Even By The Mightiest US. She Was Unnerved At The Presence Of 7th Fleet Of US In Bay Of Bengal. Great She Was !! !